Maj. Cynthia Bunch was honored Wednesday by North Carolina Governor Roy Cooper for her dedicated to the students of Roanoke Rapids High School. Bunch received The Old North State Award for dedication and service beyond expectation. 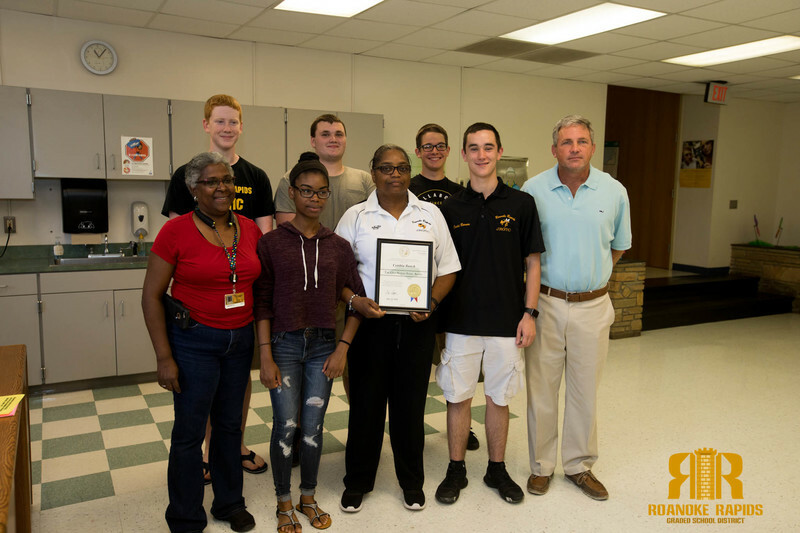 “The award is given for service and commitment to North Carolina and Bunch certainly has done that at Roanoke Rapids High School,” said Jeff White, Principal. “She is like a mother to these students.” Bunch has been known to buy clothes and groceries for students and their families and gifts during the holidays out of her own pocket. “She was one of my best teachers,” said Drew Barnes, RRHS graduate. The Office of the Governor issues The Old North State Award at their discretion to individuals who have a proven record of exemplary service and commitment to North Carolina and to their respective communities. “This is not about me. I don’t do it for the honor. I just love what I do and love my students,” said Bunch.